b. Practice counting. Discuss how one craft stick creates one side and how the point where two craft sticks meet, create a corner. Have an older child count the number of sides and corners in each shape and record it on a table you have created for him/her. I cut a couple of sponges up into strips to use for building. Some how, when I cut the strips, I created a static charge on the sponge strips and so they behaved in a really funny manner. When stacked, the top strip would fly off of the tower. R had a good laugh when the strips would fly off while we attempted to build with them. This would have been a great teachable moment for older children to explore static electricity and its effects. a. Sorting and Patterns. 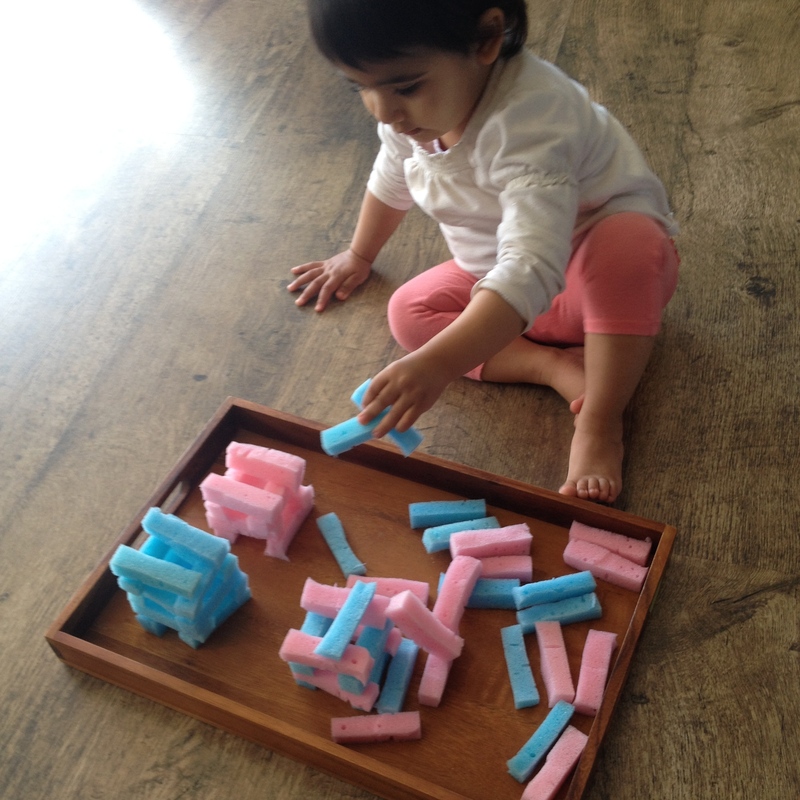 By using more than one colour of sponge, encourage the child to make towers of one colour or patterned towers. b. Practice counting. 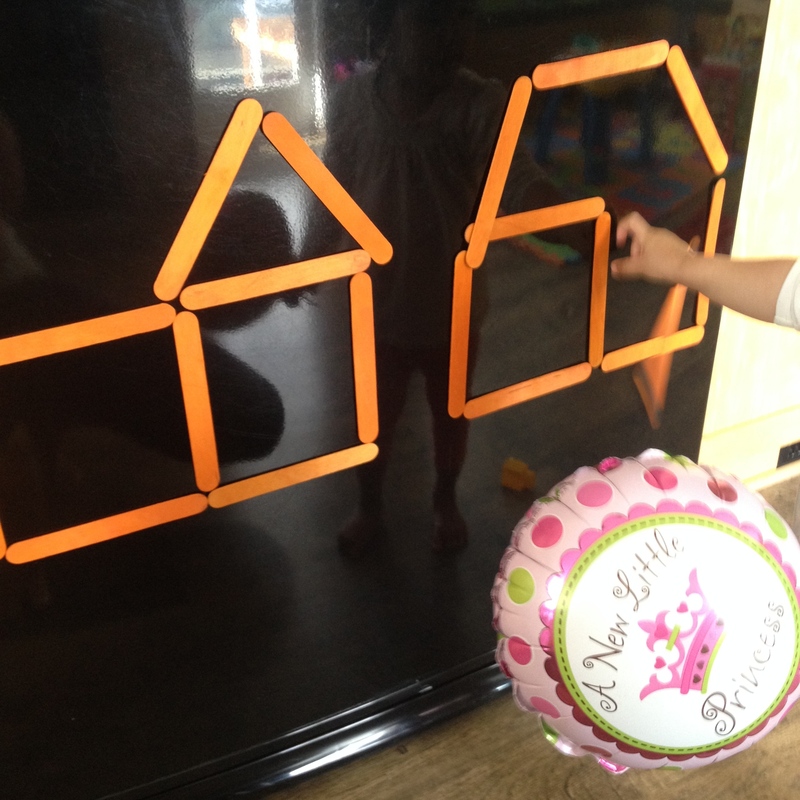 Show the child how to count floors on each tower. Have the child challenge him/herself to make taller and taller towers. 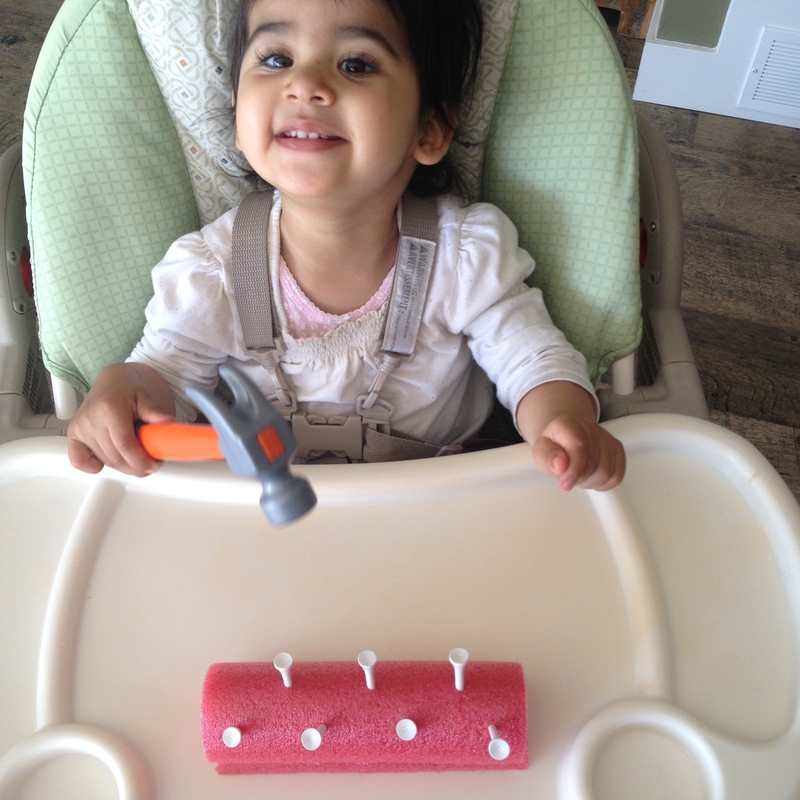 Using a pool noodle cut in half (two parts stacked one on top of the other) and golf tees, I made a simple hammering activity for R to practice her coordination and motor skills. She had a lot of fun with this! 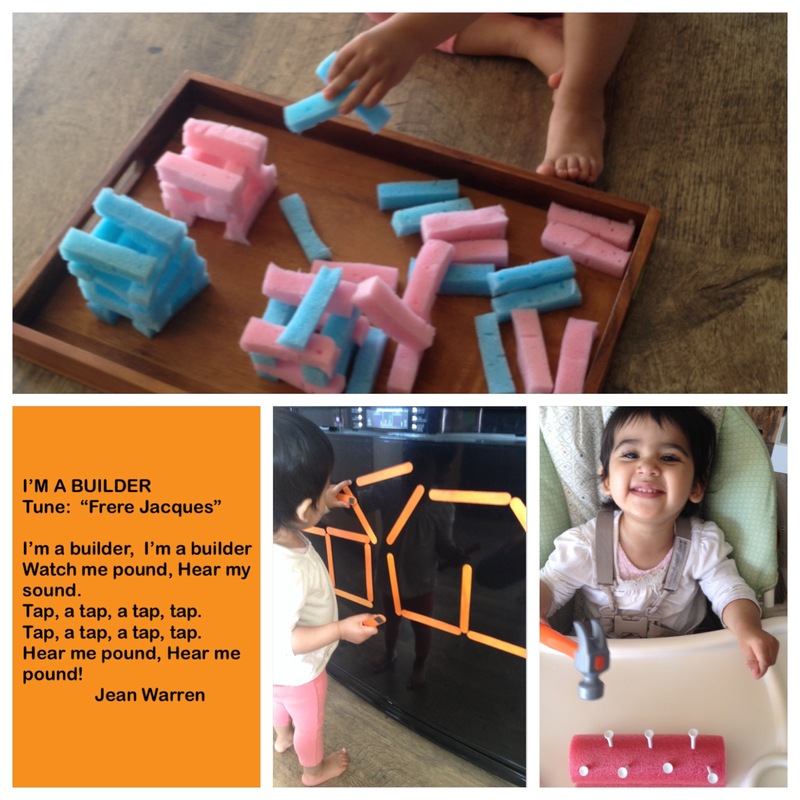 As mentioned earlier, while she banged the golf tees, I sang, “I’m a Builder”. a. Practice basic shapes. Using a large piece of styrofoam and many more golf tees, have the child hammer in the golf tees in a variety of shapes. Show a picture of a shape, and ask the child to recreate it with the golf tees.